We regret to announce that as of today (March 28th, 2017) Eros Island no longer has a franchise license agreement with Utherverse, so members of this virtual world must find a new home. We here at Utherverse understand that this is a sad day for the community, and we have spent the past 10 days working to create a new but familiar home World inside the Red Light Center, and to try to provide the tools that users would need to make the transition to this new home as smooth as can be. This task has presented enormous technical challenges, because our system was never designed to enable assets to be transferred between different worlds on our network. The core of our franchise philosophy has always been a to allow a different flavor of community to be offered between like-minded companies, who work together to develop and present fun virtual homes to their respective communities. Because of this, we never built the tools that we now find ourselves needing. Our entire team have been working day and night to assess the best options for dislocated members, and to develop the tools required to make a smooth transition possible. We have been able to pull together a lot of stuff in the short amount of time, but as of today, we have not been able to complete the entire transfer system. Please bear with us and you should start seeing more and more parts of the plan becoming available each day. We are inviting any decorators interested in helping us with improving this world to contact us at collaboration@utherverse.com to discuss potential partnerships. We are inviting current business owners of Eros Island to contact us at collaboration@utherverse.com to discuss possibilities of transferring their venues into the new world. We are organizing a community gathering that will start at 3pm PST today at vww://utherverse.vww/castawayisland/trans. We invite all members to attend and give a warm welcome to the Castaways as they settle in their new homes. Members of former Eros Island are welcome to create new accounts on RLC or use their existing ones without a concern to be required to use a specific email address in order for things to work properly. Very shortly instructions on how to transfer certain virtual items will become available. Members of former Eros Island who have been previously banned from RLC can contact World Justice at worldjustice@redlightcenter.com to appeal. 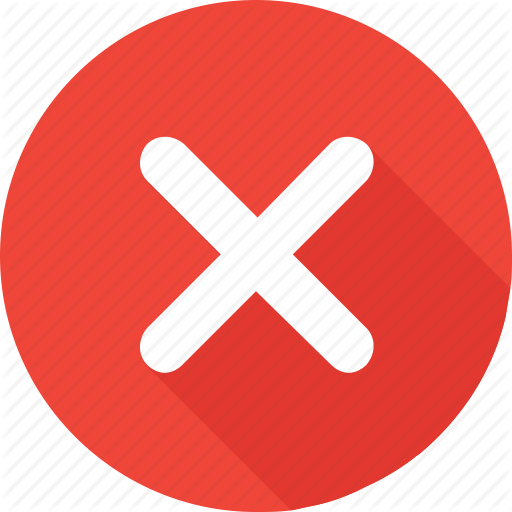 We understand that this is a significant concern for some previously banned members, but we will be giving extra consideration to the unfortunate circumstance, so please don’t be afraid to ask us to reconsider your prior ban. We are currently working on a way to create a template map, that will map properties on Eros Island to properties in our catalog. This is a very labor-intensive process, as it has to be partly done by hand, so it will take us a little while to complete. Once the map is completed, we will grant you a copy of each property you had on Eros Island. You then will be able to unlock those on whatever price plan suits you best. (Finish reading this announcement before you do that though! There will be a PROPERTY SALE to help you get started). Once we finish the linking, you will be presented with an option to give us consent to make the identical layouts you had at Eros Island accessible at your new property. We know there have been some concerns expressed related to the rights to layouts, so we would like to take a moment to comment on that. As per franchise agreement between Utherverse and 3Dsex (currently Eros Island) and the EULA of Eros and Red Light Center users, Utherverse is granted the rights to publish for user enjoyment any of the maps we have created, and decorations of those maps created by any party. Acting in the best interests of our members we are willing to restore layouts for users who had layouts created on Eros Island system based on our original maps with the use of our original props to the Red Light Centre servers with consent from a member, who currently has the layout attached to their account. It also came to our attention that decorators who created layouts for Eros Island are concerned about the transfer, so we would like to clarify our intention here. Our main concern is making sure that people who created or purchased layouts on the Eros Island system are able to keep using them under the same terms as before the closing of the franchise. That is all. We are not planning to take your layouts and put them on sale, or to allow any member to use layouts in any way that was different from how they were permitted to use them before. If there is anything we can assist decorators with in terms of transferring and setting up their layouts for sale in RLC, please email us at collaboration@utherverse.com to discuss potential options. We are sorry to inform you that we are unable to offer certain properties from the Eros Island catalog, as their original availability on Eros Island was never approved by our company. We will publish a list as soon as it becomes available. Unfortunately, due to copyright and technical issues we are currently unable to transfer clothing. We are putting out a call to designers who have created clothing for both worlds, and ask for you to contact us at collaboration@redlightcenter.com to brainstorm potential solutions. We are sure that many clothing designers will be happy to provide you with the same clothes in your new world as you had in the old one. We will continue to work with designers from the old Eros Island and from Utherverse to get you properly dressed in both your old favorites and some new outfits very quickly! We have been receiving a lot of questions regarding people’s paid Eros VIP memberships and purchased Clams, but unfortunately, we are only able to give you limited help in this area. The franchise agreement between us and the owners of Eros Island required that we be paid a royalty on VIP sales and sales of Clams, and for almost two years, we did not receive any of these royalty payments. So while we understand that members have paid for VIP and Clams and therefore may feel like they’ve lost their money, we feel the same way, as we have had to pay the costs of providing services without getting paid. We are basically all in the same boat, where we have been short changed on what was due to us. It would be wonderful if Eros Island would offer to refund or compensate you for your loss, and we are asking them to do that on our behalf as well. As far as what we are doing for you, we have put together special offers as our way to help take some of the sting out of this unfortunate situation. Although we are working as fast as possible to implement this plan, it requires a significant amount of technical effort and will take some time. Please be patient with us during this process, and feel free to get in touch with any comments, questions, or concerns by positing on the official forums at http://forums.utherverse...s-Island-Residents.aspx or by email at collaboration@redlightcenter.com.